On December 31, 2017, Syrian rebels attacked, probably with mortars, a Syrian air base used by the Russian expeditionary force in that country, damaging several aircraft and killing two troops assigned to the base. The Russians delayed announcing the attack until days after - surprisingly, the rebels did not publicize their success. 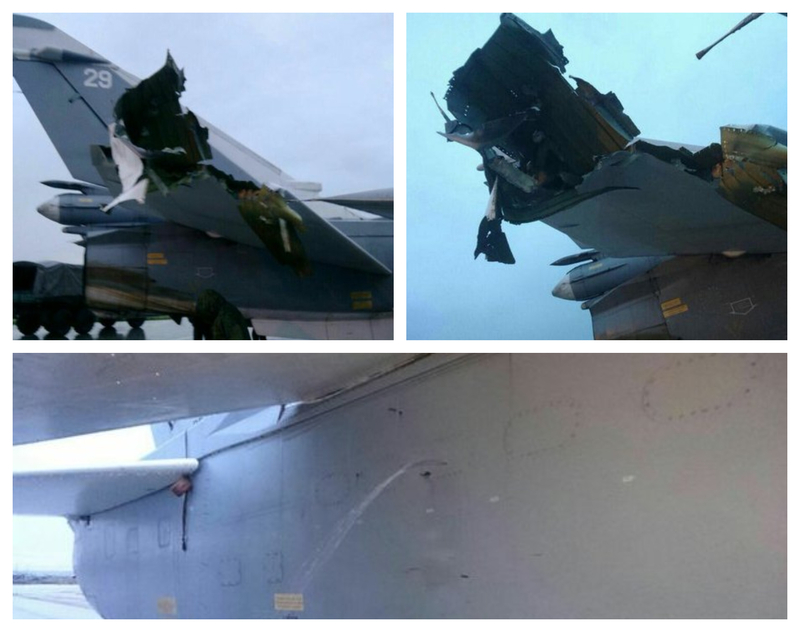 The Russian press released details to refute a report that seven aircraft had been destroyed. The Syrian air base is a dual-use military installation and civilian airport, known as both Humaymim* Air Base and Basil al-Asad International Airport. There are no scheduled commercial flights to the airport, and the occasional civilian aircraft which use the facility are SyrianAir (the national airline) flights that have been diverted from Damascus International Airport when there is a security concern. Prior to the arrival of the Russians in September 2015, Humaymim Air Base was a rather sleepy base used by the Syrian Air Force's 618th Maritime Warfare Squadron, operating a mix of older Soviet/Russian Mi-14 (NATO: HAZE), Ka-25 (NATO: HORMONE) and Ka-27 (NATO: HELIX) antisubmarine warfare helicopters. It is also the closest airfield to the al-Asad family home in al-Qardahah, a short helicopter flight to the north of the air base (see map). I was the Air Attaché at the U.S. Embassy in Damascus in the early to mid 1990's. In addition to what I would call "normal" attaché duties, I also was responsible for arranging diplomatic clearances for all U.S. military aircraft either visiting or overflying Syria. Surprisingly, there were quite a few U.S. Air Force aircraft that visited Syria, either carrying the Secretary of State or Congressional delegations - which I believed were merely shopping trips to the al-Hamidiyah souk, one of the best Oriental carpet and gold markets in the world. On several occasions, we at the embassy were tasked to support meetings between the Secretary of State and then-President of Syria Hafiz al-Asad in al-Qardahah. Since I had to make all the arrangements for the Secretary's U.S. Air Force aircraft, Humaymim Air Base - and the surrounding area - became very familiar to me. We would scout out the local area for places to place the crews, and of course, observe any Syrian armed forces facilities in the area. The Russians have deployed dozens of combat aircraft - attack jets, attack helicopters, fighters and fighter-bombers to the air base. Being almost a world-class air force, they also deployed base defense assets - including state-of-the-art surface-to-air missile systems and antiaircraft weapons. While the radars associated with the S-300 (NATO: SA-10 GRUMBLE) and S-400 (NATO: SA-21 GROWLER) air defense systems are very capable against air threats, they are not effective against low-tech insurgent attacks. The air base at Humaymim was the perfect target for what the Russians have labeled an attack by a "mobile militant subversive group." The target was the source of much of the suffering among the Syrian opposition - and their supporters. There are so many back roads on that coastal area between Jablah to the south of the base, Humaymim (for which the base is named) to the west, and Bustan al-Bashah to the north - it is the bane of force protection officers. Force protection became a key mission for American troops after the June 25, 1996 Khobar Towers attack on a U.S. Air Force barracks in Saudi Arabia. The Russians have experienced similar attacks during their time in Afghanistan. It is a very difficult mission - most of the time, troops are trying to protect themselves in the middle of what can be assumed to be hostile territory. Theses attacks do not have to be decisive - they are meant to send a message that what are deemed to be secure facilities are vulnerable to attack. Two Russian servicemen died in this particular attack. There was also materiel damage - any attack on Humaymim was likely to damage aircraft. The Russians moved into a small Syrian air base and deployed a large number of fighter, fighter-bomber, attack, reconnaissance, airborne command and control, and refueling aircraft. This is a huge footprint, bringing all the elements of modern airpower to just one location. The aircraft are parked almost wingtip to wingtip on taxiways and parking pads, not in revetments to protect aircraft and limit damage in just such an attack. The Russians thought that using Humaymim, located on Syria's northwest coast, in the heart of the 'Alawi heartland - home to the sect to which the Syrian president and all key members of the government belong, not to mention relatively far from the fighting - would be safe from attack. This attack sends a message to the Russians that their intervention and continued presence in Syria will not be without risk. The Russians have no intention of leaving. Russian President Vladimir Putin has secured a 49-year renewable lease from Syrian President Bashar al-Asad for both the Humaymim Air Base and a naval facility about 30 miles south in the port of Tartus. These agreements represent the first Russian permanent military deployments since the fall of the Soviet Union. These moves by Putin are not limited to Syria - he has secured basing rights in Egypt and Libya. In addition, Putin has arranged Russian bomber access to Iranian air bases for operations in Syria. The Russian sense of invulnerability in Syria has just been challenged. They have lost aircraft and soldiers in the past, but an attack on their base of operations in Humaymim is different. I suspect the Russians are in Syria to stay. This is the price they have to pay, and I see no indication they are not willing to do so. *Normally rendered incorrectly in various media as Khmeimim or Hmeimim. According to the official U.S. government BGN transliteration system, حميميم is properly rendered as Humaymim. Is there a fix to the flawed Iran nuclear deal?